Riley and Kimberley came all the way from Saskatchewan! (Where I grew up! <3 ) As much as all 3 of us love Saskatchewan it tends to be a little bit flat, and boring. haha So I was very excited to take them into BC to this gorgeous location filled with mountains, canyons, trees, and incredible views! 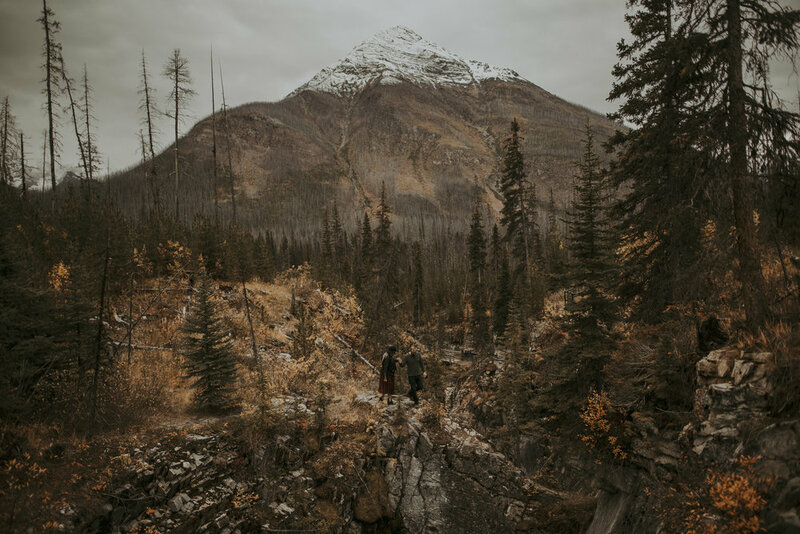 Couple/ Engagement Sessions are the best in the Canadian rockies! There are endless adventures waiting to happen, always. Kimberly brought along the cutest Aritzia Dress, and a hat from one of my fave places, Lack Of Color along with a bunch of other cute, textured goodies for her and Riley to wear! Below are a few photos from this super fun Couples session in BC!